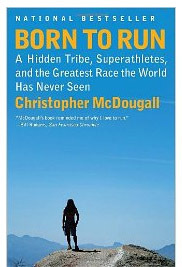 “Born to Run” is all about barefoot running and what shoes, especially cushioned shoes, do to our running mechanics and ultimately to our whole body. Let’s look at the individual topics in detail. Proprioception is a fancy word to describe our ability to know the position and movement of the limbs of our body, as well as the strength employed in that movement. In other words: you still know where your arms and legs are even if you close your eyes and you can also touch your hand to any other part of the body without having to use your eyes. When you’re running barefoot or even just standing barefoot, your feet constantly receive input from the ground underneath. How is it shaped? How hard or soft is it? Is it slippery? 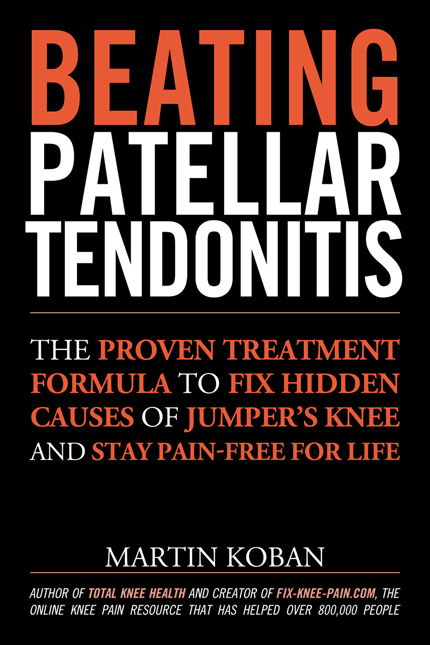 This input is used to adapt your movement and thereby naturally prevent injuries. If you’re wearing cushioned shoes this huge amount of information is absorbed in the cushioning and not only does that make it a lot harder to tell if the grass underneath your feet is moist or not, it also makes you more likely to suffer injuries. Try the following experiment: on a hard surface, stand barefoot, balance on one foot for a couple of seconds and then close your eyes and balance for another couple of seconds. Remember how difficult it was. Now take a towel, fold it a couple of times until you have mat that is about an inch thick and repeat the drill on this “shock-absorbing” material. Was it harder or easier? By wearing cushioned shoes we rob our body of the input it needs to perform a task it has evolved to perform: running. Or at least to perform it well I should say, because after all we can still run, jump and do all other kinds of things, even if we’re wearing rubber boots with 3 inch heels. Does that mean this kind of behavior is well-advised or in other words: do you have to just because you can? With all that nice “shock absorption” going on our running mechanics change. We turn into heel-strikers. When the heel comes down first we don’t use our calf muscles for shock absorption, but rely on the high tech sole in the shoe instead. The only problem is that those shoes don’t absorb anything; they just buffer the transmitted energy for a fraction of a second, only to then emit it again. Think about a spring or a rubber ball: if you squeeze it, you load it with energy and they both will give that energy away the moment you stop squeezing. If they absorbed that energy, they would remain in their squeezed state, but they don’t. What about those “shock absorbing” shoe soles? Do they stay in the squeezed state or do they bounce back instantaneously? I don’t know about your sneakers, but mine never stayed squeezed. So where does the energy go? Travels by the law of least resistance! That depends on the ground you’re running on: if you’re running on sand, then chances are the sand will just give way. 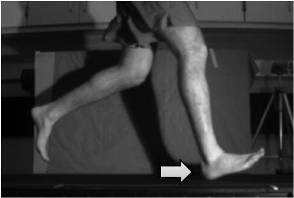 If you’re running on concrete, well, the energy travels right up your leg into your body (see anatomy of the knee). With all this energy passing through our body one part of it will give up. The weakest link in the chain so to speak. 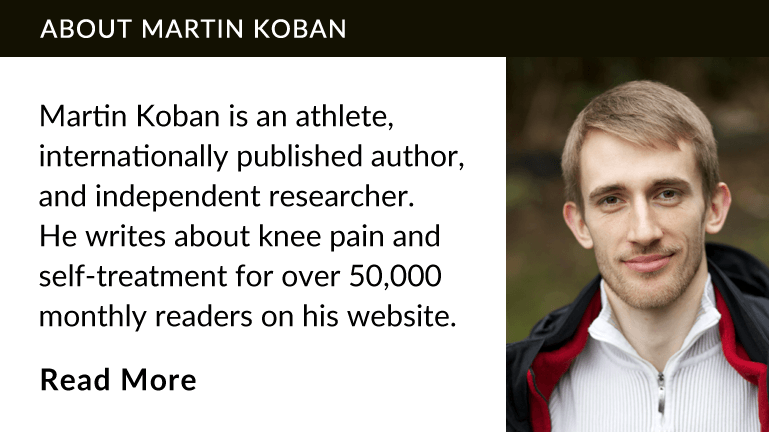 For some it’s the lower back, others get shin splints and many suffer from knee pain. So those fancy sneakers aren’t really absorbing any shocks or preventing running injuries. Actually, the only thing they absorb is the input from the ground and that makes us more likely to suffer injuries. We start heel-striking our way through the world and body control gets a lot more difficult. Remember the towel experiment earlier? Imagine running from one towel to the next and then also incorporate high speed turns and 30 inch leaps. That’s basketball! What kinds of injuries are common in basketball? Ankle and knee injuries. These “shock-absorbing” sneakers not only make it a lot more difficult to balance, they also put a 1 inch sole under your feet, sometimes more. Additionally, many sneakers have an elevated heel. This 1 to 2 inch heel provides a lever which increases the forces on your ankle, should you roll it, tremendously! Try this little test: in your favorite pair of sneakers try to roll your ankle to the outside. Once rolled to the outside, see how much vertical force it takes from your leg to create a certain type of feeling in your ankle (obviously you shouldn’t go into pain or try to injure yourself). Now try the same drill without shoes on. Can you still exert as much force on your ankle? Does it still feel like you could sprain it at will if you wanted to? Now what’s more is that because of the heel and the in-built lever you will not only exert much greater forces on your ankle if you happen to roll it, you’re also more likely to roll it in the first place because a) your proprioception is very limited, b) the muscles in your lower leg have been weakened (i.e. can’t resist force effectively) through wearing cushioned shoes and c) even if your leg muscles were strong it would be hard to resist the lever forces produced by the 1-2 inch sole once you’re past a certain point. The easiest way to fix running mechanics is to get rid of cushioned shoes and then start over from the beginning. Ok, admitted, you don’t have to crawl for a year and you also don’t have to go barefoot. I personally have experience with two brands of so called “barefoot shoes”. These shoes have a thin flexible sole and can be more appropriately be described as minimalist shoes. 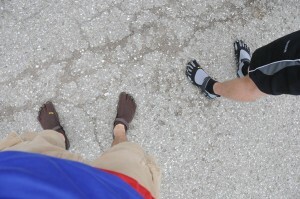 The Vibram FiveFingers have a very thin sole and pockets for your toes. They look really fancy and are guaranteed to turn heads if you’re wearing shorts (I’ve found that people don’t notice them as much if you’re wearing long pants). Wearing them you get an amazing feel for the ground and if you’ve been wearing shoes all your life, you’re in for a big surprise. You shouldn’t even be running in them the first week or two and even after this initial period you have to take it slow. Once you’ve gotten used to running around in them you will detest normal shoes for their constricting shape and unnatural feel. When easing into barefoot running always remember: make haste, but slowly! If you’re not into turning heads or want to go to a more formal event, Merrell is your friend. The Trail Glove and Tough Glove offer good feel for the ground (not as good as the FiveFingers though) and they don’t look too shabby either. Since their sole is a bit thicker than the FiveFinger sole it’s even more ill-advised to just start running in them. Remember you’re trying to fix your running technique, not set records and a thicker sole is more forgiving when it comes to making technique mistakes. We don’t want that. We want immediate feedback from the ground (i.e. if you’re doing it wrong, you will be in pain long before you injure yourself). I will write more about running in the future. Oh and of course you can also run injury-free in modern sneakers. You just have to learn the right technique, but that’s like trying to thread a needle with a pair of mittens on: retarded. Don’t try to fix nature. Our body has evolved to wear certain types of shoes and eat certain types of foods. Sure you can run in cushioned sneakers and survive on fast food, but what about the long-term effects?